Completed in the summer of 2009, the Capital Square office building offers approximate effective area of 34,000 sqm within a site spanning some 8,500 sqm. 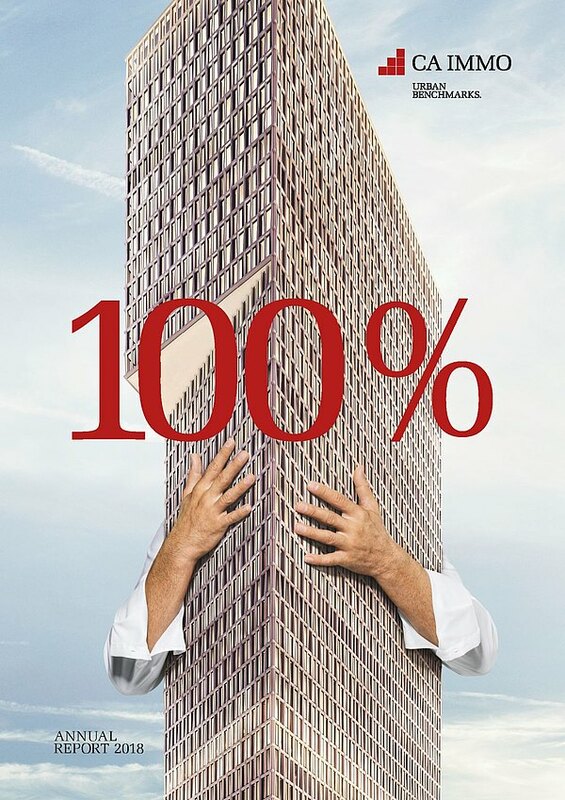 In the same year, Capital Square won the Construction & Investment Journal (CIJ) prize for Best Office Development. 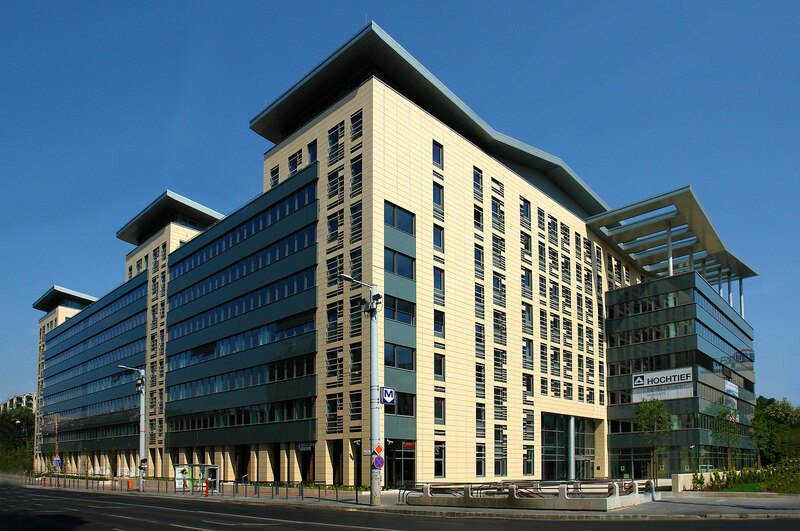 The Capital Square office complex is one of the most important structures in the central business district of Budapest. It is strategically located on Váci Street, one of the biggest and busiest thoroughfares in the Hungarian capital; the same street is home to the main national and international banks, offices and government buildings. Offices in Capital Square enjoy the advantage of convenient transport links and an excellent infrastructure; underground stations, cafés, restaurants and shops are all within easy walking distance. With its ceramic facade and striking roof, the Capital Square office building stands as a symbol of the city. Six office complexes in total are connected by stairwells and U-shaped grassy courtyards, which provide pleasantly fresh air in summer and access to the various wings. The multi-functional ground floor accommodates an impressive, high-rise-style reception area spanning three levels. 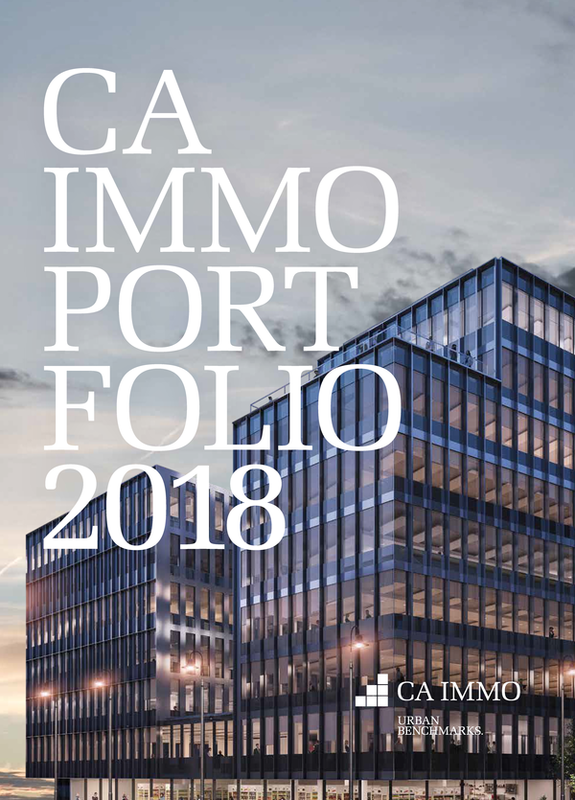 The majority of tenants at Capital Square are international companies in the service sector, while the ground floor houses a bank branch and a restaurant. The office building is equipped with the latest technology, and tenants enjoy superb views from the roof terrace. 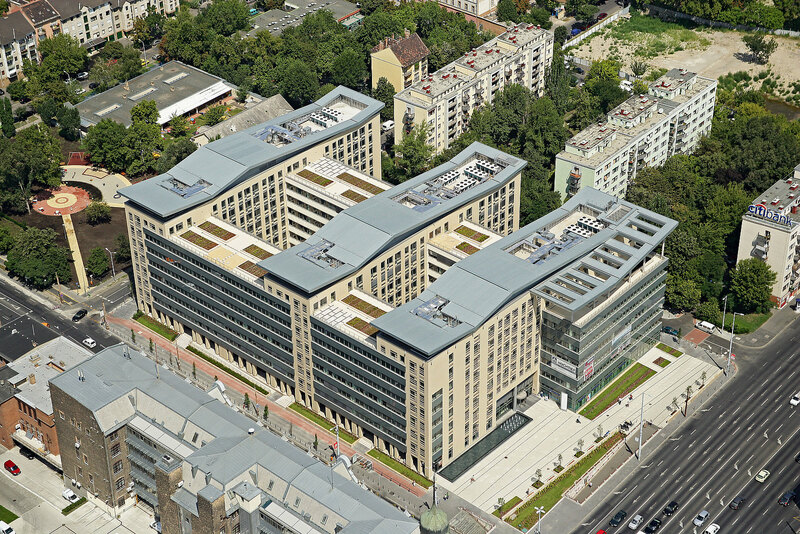 Do you have any questions, or need more information on Capital Square in Budapest? Simply contact us!